When will be British Army Girls next episode air date? 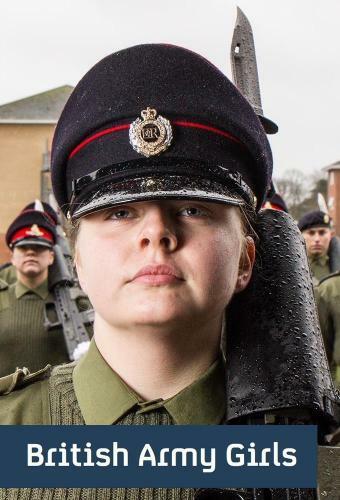 Is British Army Girls renewed or cancelled? Where to countdown British Army Girls air dates? Is British Army Girls worth watching? A new three part documentary series for Channel 4 will, for the first time, follow a platoon of female recruits as they embark on their training for a career in the British Army.As the Government gears up for their 2016 review of women in the military, GI Janes will follow the 14 week training period of 47 women aged between 17 and 32 all of whom are being trained to survive in combat on the frontline. The series has been filmed over 14 weeks at Pirbright Army Training Centre, the biggest training centre in the UK, hosting Phase 1 training for around 2000 new soldiers every year. Can Lisa, the oldest recruit in the troop, adapt to army discipline? Chantelle, who's 22, returns to training for the second time, more determined than ever to make it through. Five women have dropped out of 3 Section already and the tough stuff has only just started. Chloe and Jessica battle against injuries and physical challenges. The troop face the final four weeks of training during which everything they've learnt will be put to the test on their longest and toughest exercise to date: Final Fling. British Army Girls next episode air date provides TVMaze for you. EpisoDate.com is your TV show guide to Countdown British Army Girls Episode Air Dates and to stay in touch with British Army Girls next episode Air Date and your others favorite TV Shows. Add the shows you like to a "Watchlist" and let the site take it from there.